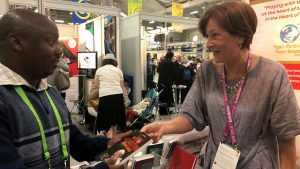 The Messenger Publications promise a number of exciting books and booklets as part of their autumn 2018 catalogue. 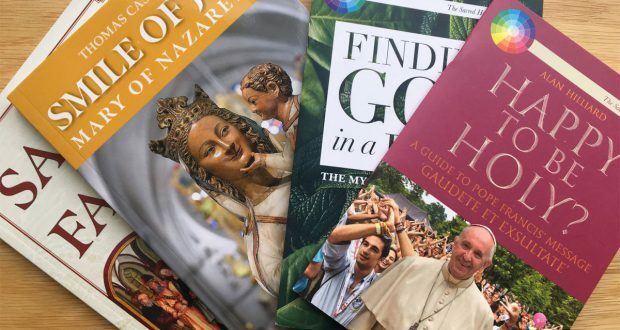 These include books on Mary of Nazareth and saints for the family and booklets on the writings of Pope Francis. Smile of Joy: Mary of Nazareth is a book by Thomas Casey SJ who is currently Dean of Philosophy at St Patrick’s College, Maynooth. This book looks at Mary, this extraordinary woman who is “the cause of our joy” because she brought us the greatest joy of all: Jesus. She was full of joy because she was full of gratitude, gladly acknowledging the fullness of grace that God had given her. Many of us seek joy outside of ourselves, in food and drink, or in riches and reputations. But Mary found an inner joy that came from encountering God, a joy that was immeasurably greater than any material joy. And by giving Mary a place in our hearts, we can find true joy in God as well. 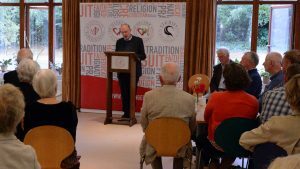 Saints for the Family is a book by Fr John Murray, Parish Priest of Downpatrick, County Down. 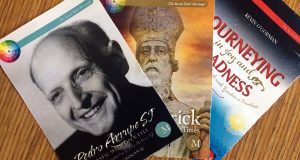 The best-selling author introduces us to a selection of saints for the family , to mark the World Meeting of Families which took place in Dublin in August 2018. Among those included are Biblical figures like Joseph husband of Mary as well as Elizabeth and Zechariah. There are classical saints too such as Bernadette of Lourdes. 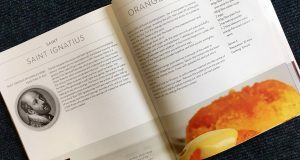 The author shows also that many who came from families experienced difficulties and trauma – people like Laura Vicuna who suffered abuse and Antonia Brenner who had two failed marriages before befriending prisoners in a maximum security complex. There too is Sr Ignatia who helped in the founding of the AA organisation and Bartolo Longo who at one time was a Satanist priest but became in time a great devotee of the rosary. 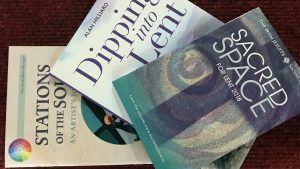 Finding God in a Leaf: The Mysticism of Laudato Si’ is a booklet by Brian Grogan SJ, a prolific writer of Ignatian Spirituality. God, Pope Francis affirms, is present in nature, and he wants us to share that perspective, because he believes that it can generate in us a sense of wonder, awe, reverence and love for nature in all its aspects. 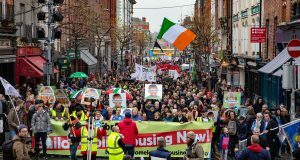 This sense will make us strong enough to dedicate ourselves to the demanding task of caring for what he calls ‘our common home.’ When my home is under threat I will fight tooth and nail to protect it and those living in it, because I love it. Such commitment is needed today if our small and fragile planet is to be brought back to health. 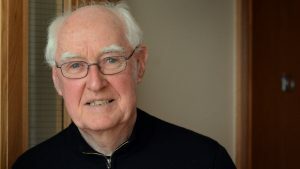 Brian Grogan brings the background of Ignatian spirituality and a lived appreciation of God’s creation to his booklet of meditations on Pope Francis’ Encyclical, Laudato Si. Happy To Be Holy? 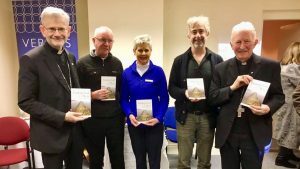 A Guide to Pope Francis’ Message ‘Gaudete et Exsultate’ is a booklet by Fr Alan Hilliard, Chaplain at DIT Bolton Street, Dublin. How can we know what it is to be holy? What difference can holiness make in our lives? 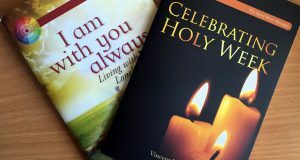 Far from being a matter for only the ‘holy Joes’ among us, holiness is the concern of all Christians, and is initimately connected to a life of Christian Joy. In Happy To Be Holy? Fr Alan Hilliard takes us on a journey through Pope Francis’ latest Apostolic Exhortation. Chapter by chapter he explains the significance of Pope Francis’ remarks in an illuminating, and accessible way. Included are extracts from Guadete et Exsultate, personal introductions to each chapter, and sets of questions to encourage you on your own spiritual journey. That they may be one?